This tractor was built in Seattle WA. The La Trac Jr Tractor Co was incorporated in February 1949. 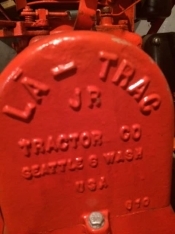 The La Trac Jr name was used for only 1 1/2 years and then it became Lay Trac Jr Tractor Co. The company was dissolved in July 1956. My family has owned this tractor since 1963. 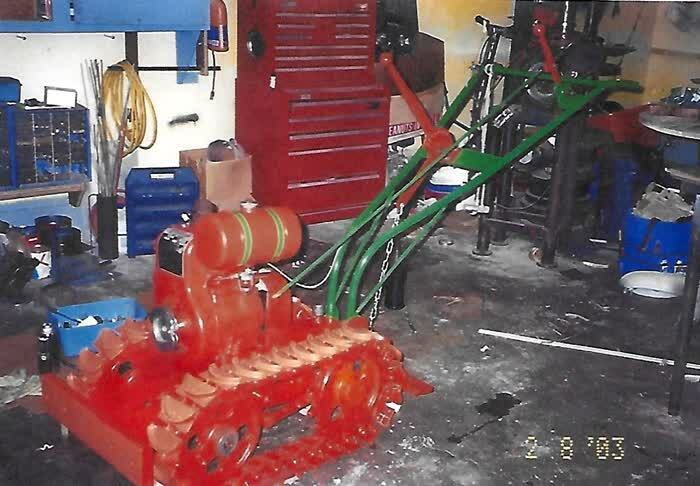 I restored the tractor and some of the implements in 2003. Implements include a plow, disc, cultivator, spring-tooth harrow, a blade for the front, and a bar with a trailer hitch. All are in working condition.